This is an exciting launch for us. What a movie character, what a design, what a coat! The Bane isn’t just a piece of outerwear, it’s a whole fashion statement that flies in the face of the cookie cutter styles most of us are forced to don day in day out so’s not to alarm the clients, the kids or the customers. But the freedom to step out of the conventional realm every now and again is an exhilarating thing. And boy, this is definitely the coat to do that in. 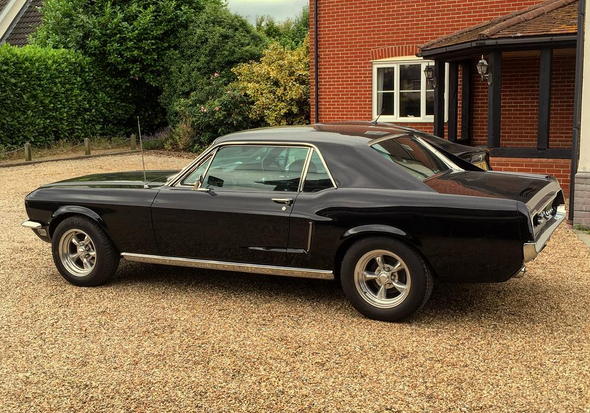 Behold a 1967 black Ford Mustang Coupe with a 5 litre, 302 block engine. This is the result of a two-year, classic car project, which includes a conversion to right hand drive. Customized '69 style sail panels give it this cool, sleek look. The interior is 1967 deluxe. It has 15” classic style American Racing wheels and a lowered frame bringing the whole driving experience far closer to the ground. And yes, it is soooo much fun to drive! Red, Red, My Jacket is Red! Our fascination with red leather started with the iconic Fight Club jacket. It’s such a sought after movie jacket and who doesn’t love the film – but we were also really impressed with the style and sheer bravado of the design itself so it was a given that we'd try our hand at a replica. We worked very hard on the colour, which is a deep red with the tiniest hint of brown. 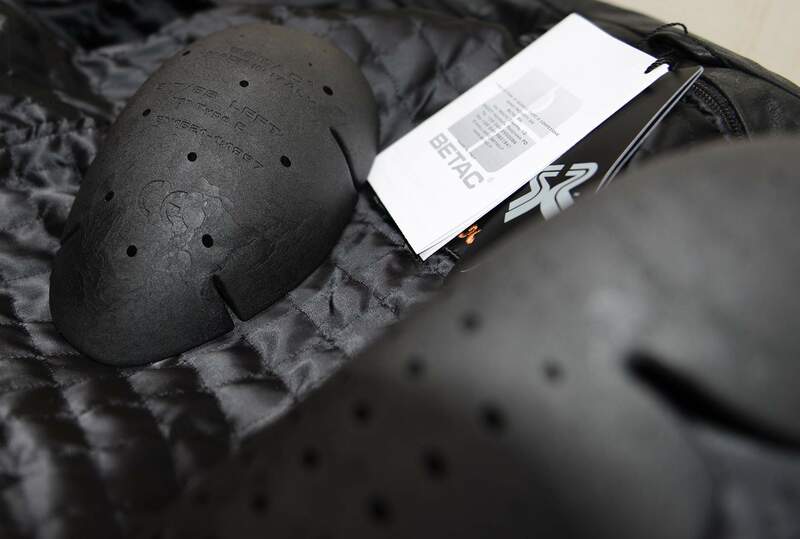 The leather came out beautifully soft with just the correct thickness. So, without being too thin, the jacket has a perfect weight to it. When we saw the final product and realized how fantastic the colour looked, we started wondering how it might play on other designs, both our own, as well as certain movie replicas. We've been listening to the social media wind out there. We've seen your posts and read your emails and we get that the price of our jackets has been an obstacle for many of you. So we're delighted to announce that as part of our ongoing campaign to give everyone a little break we now offer the Hybrid: Black leather jacket with Grey detail at the far lower price of £250! 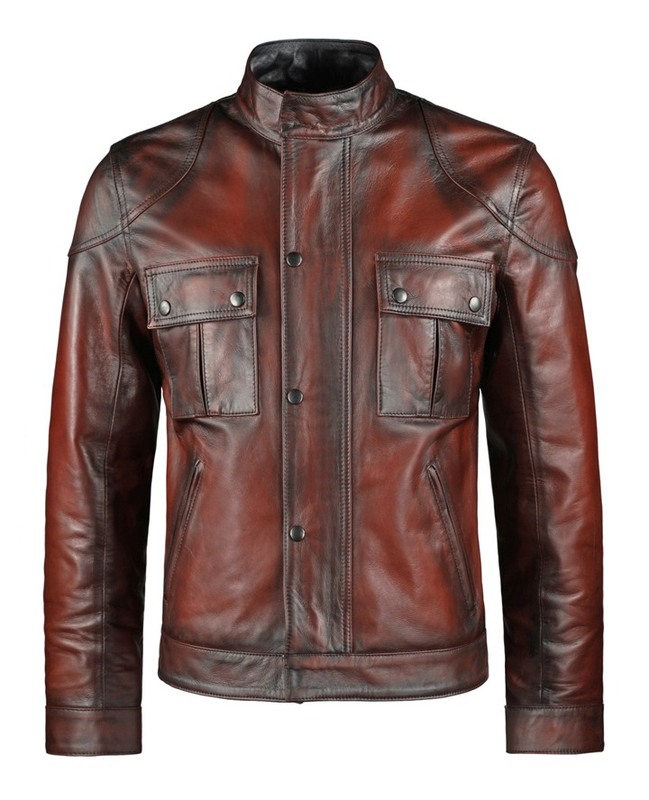 This is an insanely low price for a very high end Italian leather jacket. It never, ever, happens and you won't find it anywhere else. So why are we doing it? 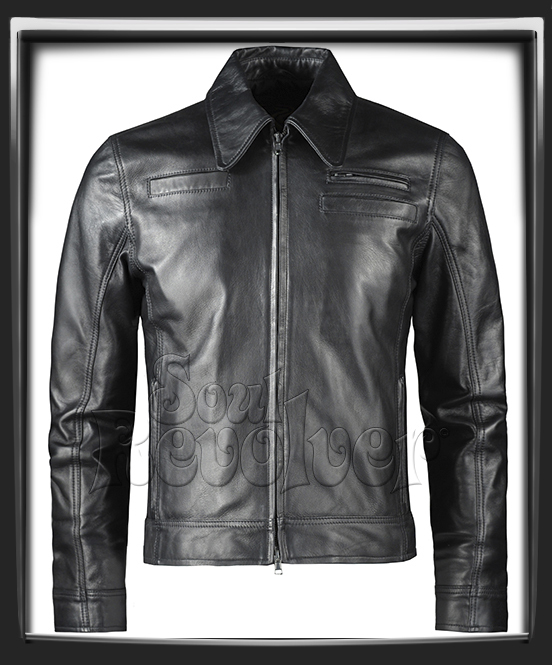 Biker style jackets are a ubiquitous fashion choice across the globe, but they all originate from true motorcycle gear - thick, reinforced leather that is built to protect riders from the elements, and to shield their skin from impact in the awful event of a spill. We created this unofficial replica jacket for several reasons - firstly, because so many of you asked us to, but also because we're huge fans of the game which consumes a lot of our own downtime here at Soul Revolver. In terms of style and design though, this jacket is a perfect fit for us. The minute we saw it we knew we'd have to do it sooner or later. Why? because it has that classic 70s style and truly looks like something that belongs in our collection. 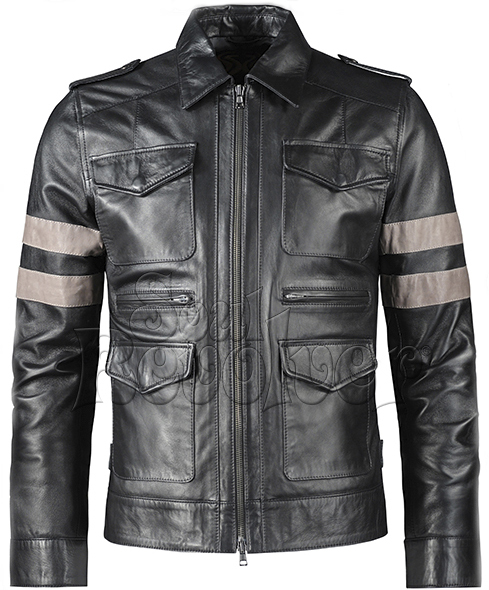 The Resident Evil 6 jacket also favors a very tailored cut which makes it a natural fit for our retro/vintage taste as designers. 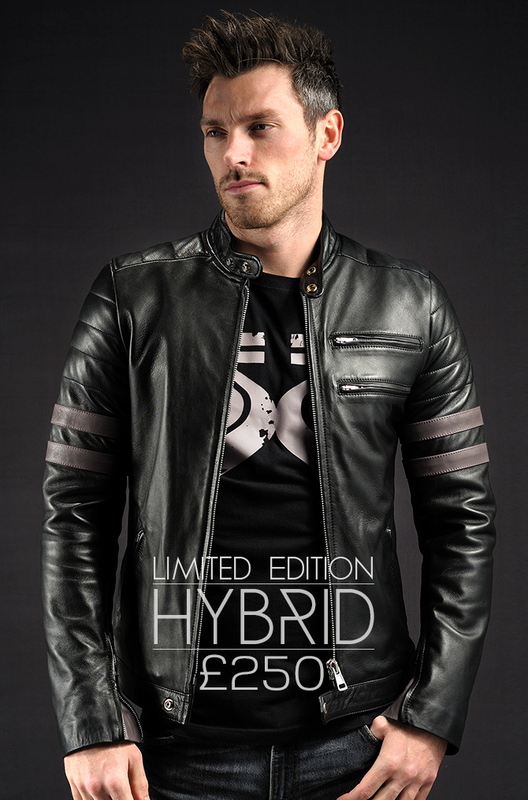 We love the bands on the sleeves as you can tell from our original Hybrid design and the replica Origins jacket. Done right these bands look very cool providing a stylish accent to an otherwise sleek design. 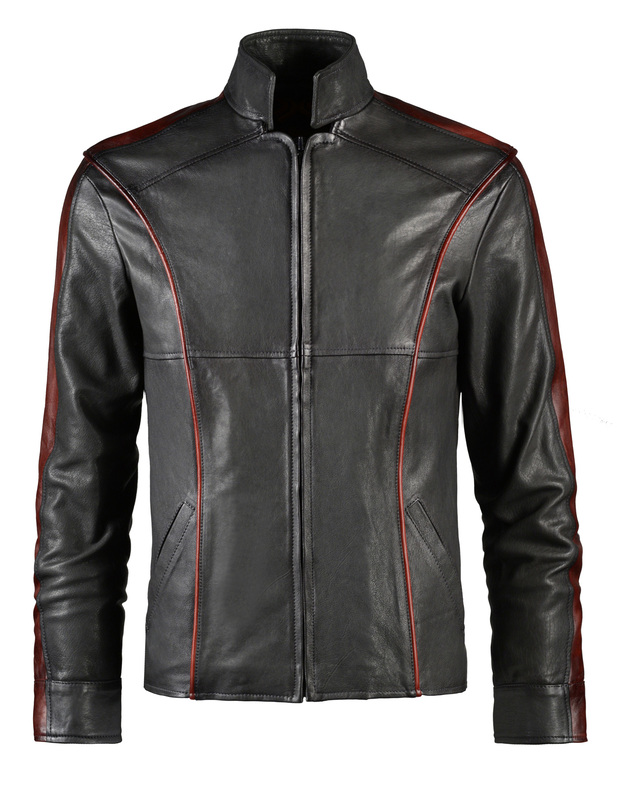 Inspired by one of the more iconic jackets worn by Commander Shepard's character in the Mass Effect 3 Video Game - this is a very accurate unofficial replica made with 100% Italian Nappa Leather. At Soul Revolver, so much of our design inspiration comes from our great love of movies. Obviously, we specialize in replicas and vintage leather jacket styles, but we get particularly fired up at the prospect of designing something futuristic. Movie set and costume designers face a big challenge ensuring that the imaginary future world they create is both believable and visually mind blowing. The era in which a story is set must make a huge difference to the overall task. Our guess is that the ideal “futuristic era” for fashion and style happens about forty or fifty years from now because that still allows a sprinkling of cool and classic features from our time – in jeans, footwear, jackets – to be mixed in with all the fantastic tech and motor gadgetry yet to be invented. Forgive us for the shameless self promotion, but we’re all huge fans of Simon Pegg here at Soul Revolver – I mean who doesn’t think Shaun of the Dead and Hot Fuzz are some of the funniest movies to come out of England since Life of Brian? 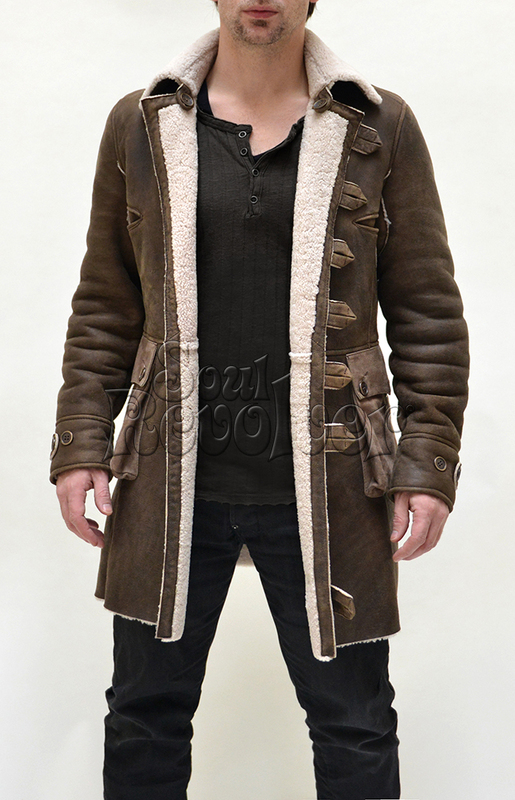 So imagine how chuffed we are to discover that Simon Pegg loves our leather jackets! You know in your gut that some leather jackets are better than others. Some just look cheap, others cost a fortune. But what happens in the in-between? How do you distinguish bad from better from best? If you have a minute, maybe you can take a crash course in Leather Jackets 101 courtesy of Soul Revolver.